37. "What Lives That Doesn't Live From the Death of Someone Else?" 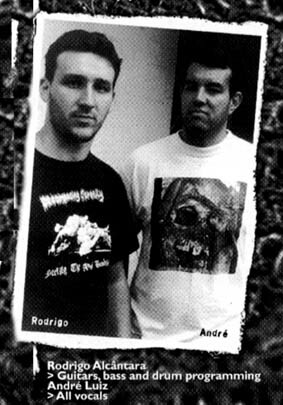 Lymphatic Phlegm is a Brazilian goregrind duo formed in 1996 in Curitiba (PR) by Rodrigo Alcantara (guitar, bass, drum programming) and Andre Luiz (vocals). The band now is one of the leaders in the style thanks to their sick and experimental compositions. They have one demo, one EP and one full-lenght albums, all the rest are splits with other popular goreheads. tapulan mo headbang.